Two crews from Nailsea and two from Clevedon fire station were called to a tumble dryer fire in the outhouse of a residential property that had spread to a nearby caravan and car. On arrival, 10 firefighters in breathing apparatus used two high-pressure hose reels, two 45mm jets and two CO2 extinguishers to tackle the fire. They also used a positive pressure ventalation fan to clear smoke and a thermal imaging camera to check for hotspots. Firefighters rescued two casulties from the property, who were conveyed to hopsital by ambualnce crews. A third casulty was treated for smoke inhalation. Police were also in attendence and the cause is thought to be accidental. 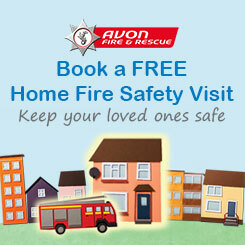 On average 1,400 fires per year occur in caravans.